In the vast reaches of space, empires evolve quietly. Previously isolated planets deploy newly engineered scouting vessels deep space to explore and colonize. They may strike gold on resource-rich planets waiting to be discovered; they may uncover ancient terror lost to the depths of space and time. Ultimately these civilizations will discover each other wielding vast and secretive armadas and a galactic war for supremacy will rage beyond the stars. One dynasty will emerge as conqueror, the others will be lost to infinity. 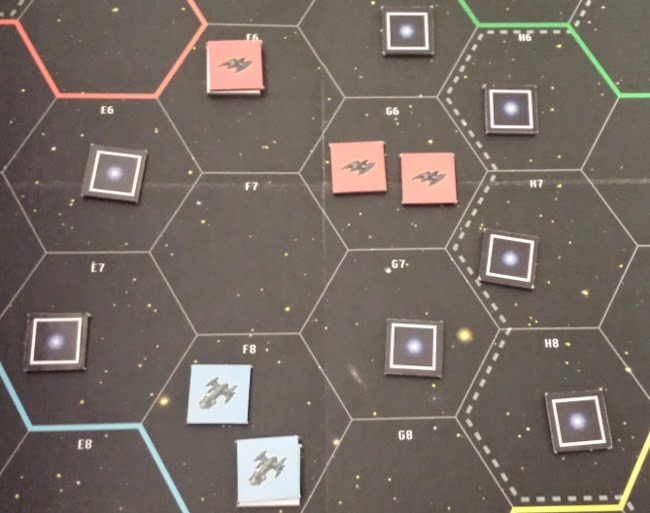 This is the destiny awaiting players of the brilliant 4X strategy game Space Empires. Any wargame enthusiast and lover of strategy can instantly tell how much time and effort designed the scope of this game. 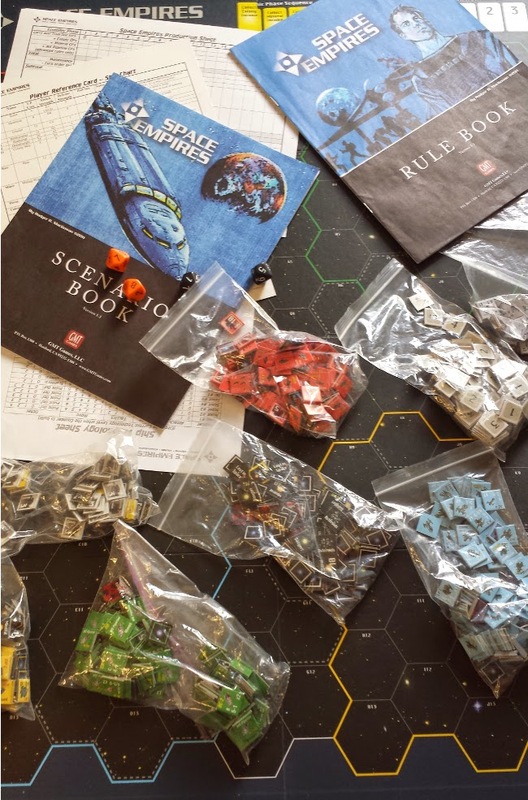 While initially intimidating to look at in terms of the sheer volume of components and rulebook size, once the gameplay process is understood, Space Empires plays fluidly and intuitively. To put it in clearer perspective, the prototype version reportedly took 3 days to play a full game of, but thankfully designer Jim Krohn was able to the reduce playing time to an hourly increment while still maintaining the epic mission of exploration, expansion, exploitation, and extermination. The game consists of three phases of turn based movement, followed by an economic phase involving players allocating resources towards building new ships and upgrading their technologies. 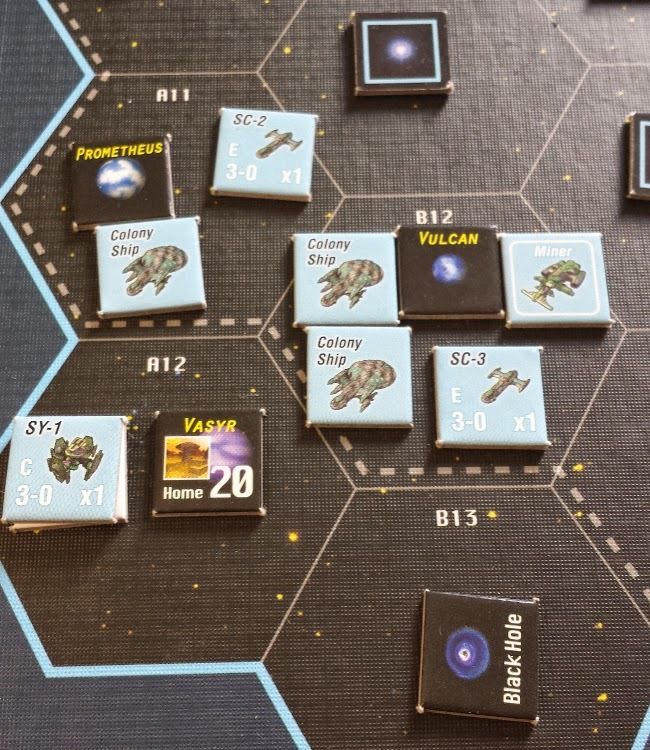 During movement players can send their scouting ships to adjacent hexes where they must flip the tiles there to reveal the scout crew's fate. Exploration can yield anything from new planets to colonize, resources and alien technologies that can be towed back to colonized planets and harvested during the economic phase, wormholes that warp to different areas of the board (useful for attack planning), or even ancient alien doomsday devices that when uncovered, roam the map decimating everything in their wake. The stakes get higher as players can also move the various other vessels they’ve built throughout the game including carriers, battlecruisers, and mining ships (which can collect and tow resources). The shadow element is the fact that ships can be moved face down form their launch site, making the position of rival battle groups impossible to pinpoint until players move into the same hex and MUST exchange fire by the roll of the die. When the time does come to attack other players, bluff them by sending a masked squadron of weaker carriers or decoys toward their colonies, diverting their forces if you’ve played your cards right, and leaving their homeworld open to a deadly assault from your fleet of dreadnoughts they had no idea you built and sent straight for them. Keep this in mind as conquering another player’s homeworld wins you the game. There are various hands of this militaristic poker that can be auspiciously dealt by admirals in the field, but it’s behind the scenes where the real balancing act of strategy must be play out to secure victory for the strongest empire. The economic phase is a glorious exercise in bookkeeping and resource management and is sure to be the selling point for fans of this type of gameplay, while simultaneously turning away those put off by such intricacy. 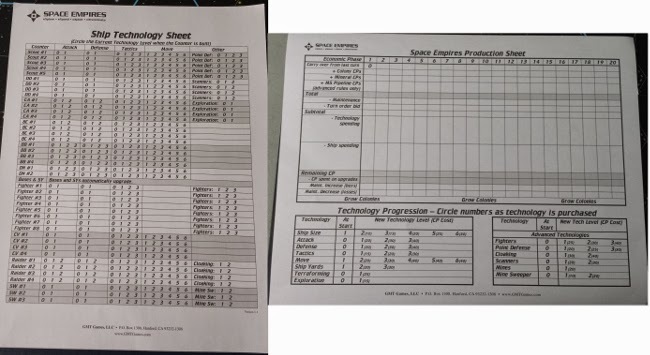 Every player has at their disposal a production sheet which allows them to tally their total resources each round and a ship building list for deciding how to spend them. (Mining ships, Planetary defence systems, raiders, and space stations that can build and deploy new ships from colonies vs homeward, all add to the subtle layers of strategy) With so many options, especially with regards to tech upgrades doing amazing things like upping ship movement, granting carriers the capacity to launch fighters, and even cloaking entire fleets, this phase will really test your ability to respond to the game’s ever-shifting climate and plan for your strategy’s fruition 10 turns in advance; be it one of military might, technical supremacy, or exploratory dominance. It's extra engaging to see how the overall strategies of players adapt to the landscape of space laid out before them as it's revealed. 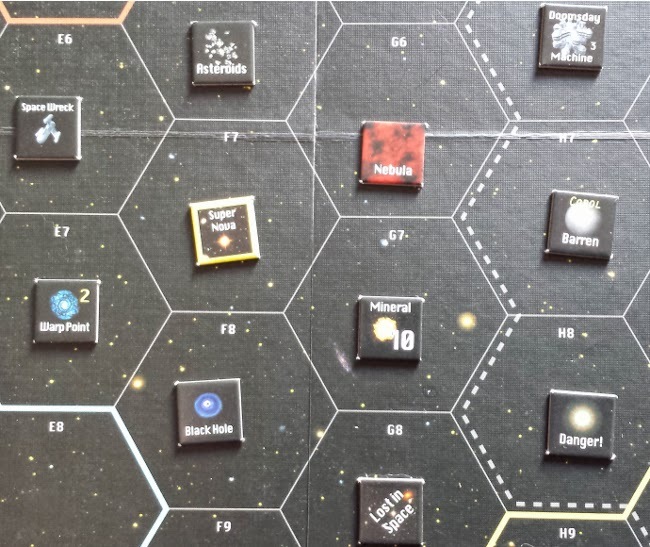 The random placement of tiles on each hex prior to turn one ensures a unique board every game. If there are more planets near one player’s homeworld, they may opt for focusing on spending more to colonize them and then creating pipelines in between colonies in order to reap more resources and construct stronger weapons for future attacks. By contrast if a player lucks out and has a lot of free-floating resources in the deep space near their homeworld, that empire may be able to invest early on in technology upgrades for their ships, making it possible to win the game faster using smaller but more elite fleets- and possibly with a little assistance from a well-placed wormhole. 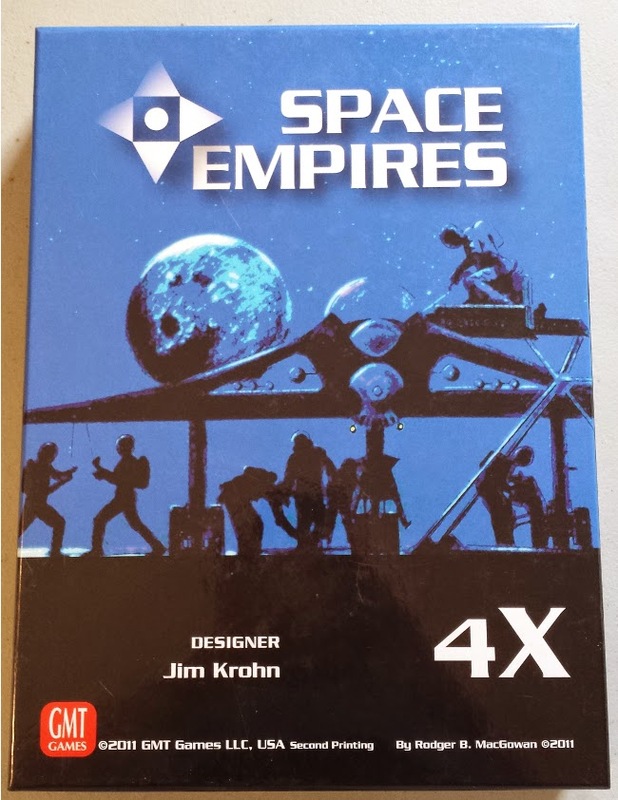 Ultimately Space Empires is an interesting and epic-to-game expression of the chronology of developing space civilizations soon to be at war with each other: Scouts discover new planets to be colonized -> resources are mined from the new worlds->trading routes are established back to the mother planet->Armadas are constructed and deployed-> Enemies are conquered and annexed. Not only do players get to witness a unique version of these events unfold each game; they get to fuel them based on their imperial interests and goals. You are the driving force behind these galactic schematics and it'll be the feeling of synapses connecting in your brain as you see your carefully organized strategies grow and develop. 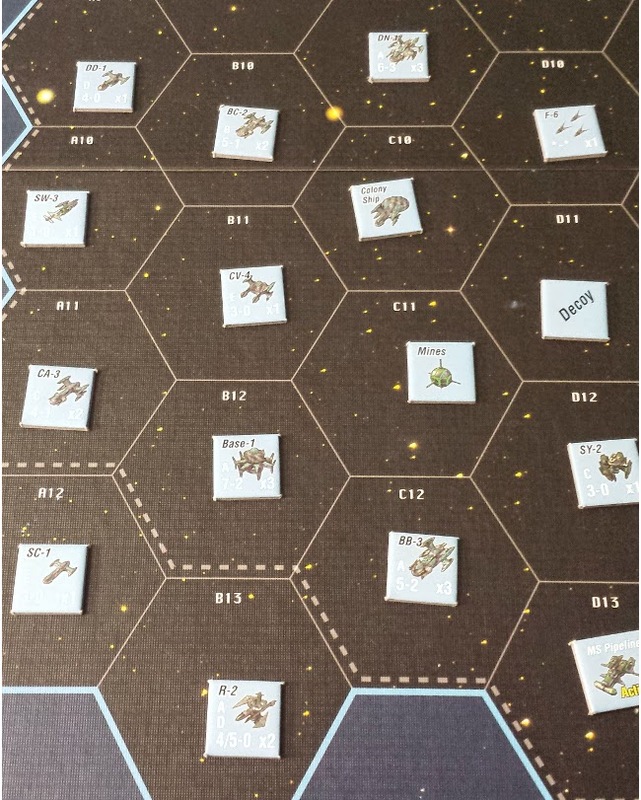 The simplicity of the game pieces is no deterrent either as each ship tile has a great numbering system for tracking and hull point value (cost to build) while still providing immersion in spite of the two-dimensional nature of the 4X game art. GMT games has published a passion project not for the faint of heart. Expansions will see land combat added to the mix which will take battles down to the surface of planets and add a whole new level of detail to an already highly engrossing game experience. To conquer, resources must be expertly managed in an environment where nothing is known, but one thing is certain: In the vast reaches of space, Empires rise and fall.